The deadline has passed and the Jury has selected the laureate videos. The announcement below is now for the record only. Within the framework of the VT-2004 programme, a video film contest is being launched. In this, members of the public - either as individuals or in teams, e.g., in schools or astronomy clubs - are invited to present a video of maximum 8 minutes (in any European language but with an English transcript of the manuscript) in connection with the Transit of Venus on June 8, 2004. The video could either present the astronomical event, the local event that you have witnessed, including preparations for the observations, reactions of participants and on-lookers,... or it could try to demonstrate sociological or historical aspects, or wider scientific or philosophical issues, etc. 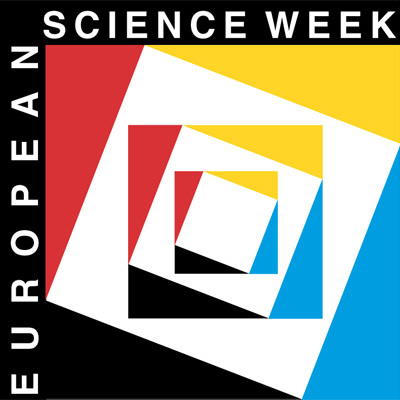 From all the entries received, an international Jury will select up to 12 laureate videos which will be shown during the VT-2004 Final Event , to take place during the European Science Week (the second week of November 2004) in Paris (France), and made available to the media. Two members of each laureate team will be invited to this Final Event, during which the Jury will award the prizes. The first prize is a free trip for two to the ESO Paranal Observatory located in the Chilean Andes, one of the foremost astronomical centres in the world and the home of the Very Large Telescope (VLT). There are also very exciting second and third prizes . The videos must reach the VT-2004 organizers (see address below) by September 15, 2004, 18 hrs UT . They must be accompanied by the completed "VT-2004 Video Competition Entry Form" (see below). The laureate videos will be announced at the VT-2004 website by October 15; the laureates will also be informed directly. All potential participants are requested to read carefully the general rules for the contest, as outlined below. Submission of a video implies acceptance of these rules. Questions about this Contest should be directed to the organisers via email at vt-2004@eso.org. In the framework of the VT-2004 programme, a Video contest is being launched. This contest is only open to European countries as they are defined on the VT-Network page. There are no strict rules for the content of an entry, except that it should be related to the Transit of Venus. However, as a guideline, the organisers suggest that successful entries are likely to have described the astronomical event, the local event that you have witnessed, including preparations for observations, reactions of participants and on-lookers, etc. It may also discuss relevant sociological and/or historical aspects, wider scientific or philosophical issues, etc. In spite of the guidelines, the organisers strongly encourage contributions that address the subject matter in new or unusual ways. The maximum duration of the Video shall be 8 minutes. Shorter videos are welcome. Longer videos will be disqualified. The video can be presented in any European language but if it is not in English, a manuscript of the narration must be provided in an English translation. Failure to do so will result in the disqualification of the Video. The organisers should not have to request any additional material from the contestants. Video Format and Standard: Entries must be supplied as VHS-tapes in the PAL standard or in digital format on a CD-Rom or a DVD. Winners will be requested to make their original tapes/edit-masters available (in whatever format they exist). Technical Information: It is strongly recommended to produce the video in the highest-possible quality format, e.g. Hi-8, DV, Betacam-SP, Digibeta or D-9. Note that winners will be asked to provide their original tapes as well as edit-masters for possible TV-screening. All entries must be accompanied by the completed "VT-2004 Video Contest Entry Form" ( (Word) - (PDF)). On this form, the title and total running time (TRT) of the video as well as the entrant's name, address, email (if applicable) and telephone number will have to be given. The manuscript/narration text must be included. The deliberations of the panel are confidential and the findings definitive. No appeal will be accepted. They cannot be brought before a court of justice. The Laureates (Winners) will be notified directly. Furthermore, the complete list of laureates (winners) will be published on the Venus Transit 2004 homepage. Participation: The contest is open to anyone residing in European countries as defined in the VT-Network page and interested in producing a video, film or report on this topic. Persons may participate as individuals or in teams. Excluded from participation are staff and next-of-kin of personnel employed by the primary organisers (OBSPM, ESO, EAAE, AsU) as well as members of the evaluation panel and their relatives. Deadline for submission: all the entries must arrive at the latest on September 15, 2004, 18:00 hrs UT at the delivery address. All entries arriving later will be disqualified without any possible appeal. There will be no exceptions. The entries must be posted with sufficient postage stamps. The organisers will not pay to receive any entries. While all possible care will be taken in handling entries, the organisers will not assume any responsibility for loss or damage to entries. By submitting your entry to the contest, you declare that the entry represents your own work and does not violate the rights associated with any other video production. You agree to undertake to hold the organisers of the VT-2004 Video Contest harmless against any and all claims by third parties. Likewise, by submitting your entry to the contest, you forego copyright and authorise the organisers of the VT-2004 Video Contest to duplicate and broadcast your video/film for non-profit and awareness-raising purposes. This includes screening by commercial TV-Channels. Authors' credits will remain. Participition in the VT-2004 Video Contest implies agreement with these General Rules.